HPT Sport Running have been trading for over 25 years first as a General Sports Shop and then as now a Run/Fitness Specialist, it’s been a long journey but it’s been well worth it. We have met some wonderful people along the way and now feel that we have found our place in the Sporting Industry. 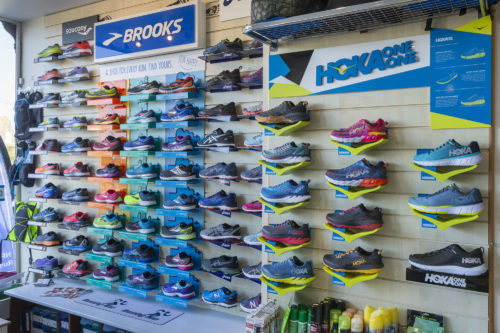 We specialise in what we consider to be the leading Brands in the Run/Fitness World from Brooks Running, Hoka, Asics, Saucony, Altra, On Running, Salomon, Ron Hill, 1000 Mile, Hilly, Skins, Garmin, Aqua Sphere, After-Shock to name just a few and we are always updating our lines and we listen to what our customers want.